Wolf ovens and cooktops are known for their ability to produce the best results so you can cook with the accuracy of a professional. You know exactly what you’ll be getting with the precise heat control of Wolf appliances. There are no limitations in cooking or baking with Wolf appliances. so you wouldn’t want your cooking accessories to constrain the ability of your equipment. Induction Cooktops – Use “induction ready” magnetized stainless steel that absorbs the electromagnetic energy, which is converted into heat. Electric Cooktops – Use medium to heavy weight pots with metal handles and flat bottoms that are no larger than the range area. The flat bottoms allow even heat conduction and prevent scratches to the surface of your cooktop. 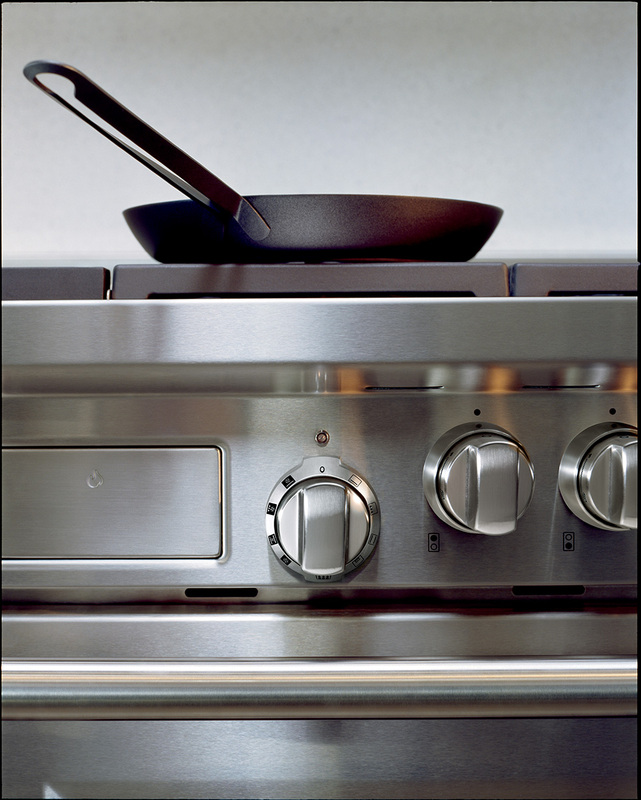 Gas Cooktop – Use a lower flame setting when using pots and pans made of enameled steel, cast iron or glass ceramic. Use the lower level of the dual-stacked burner for simmering and melting cheese and chocolate. Oven Bakeware – Always use the recommended pan size and allow at least 1” between the edge of baking sheets and the edge of the oven. Keep in mind that food cooked on insulated bakeware will cook more slowly, and dark metal pans may cook food faster than anticipated. Small factors such as the size, shape, material and finish of the pots and pans you use can affect the cooking and baking of your food. Using the right tools when cooking will help produce the most accurate results, so no matter how challenging the recipe, your equipment is there to help you through it.